Our coastal and waterway regions are crucial for our survival and wellbeing. Some of the most obvious effects of climate change in Ireland are taking place within these environments. Read our suggestions to how your community can start to adapt and mitigate against the worst of the incoming climate changes. 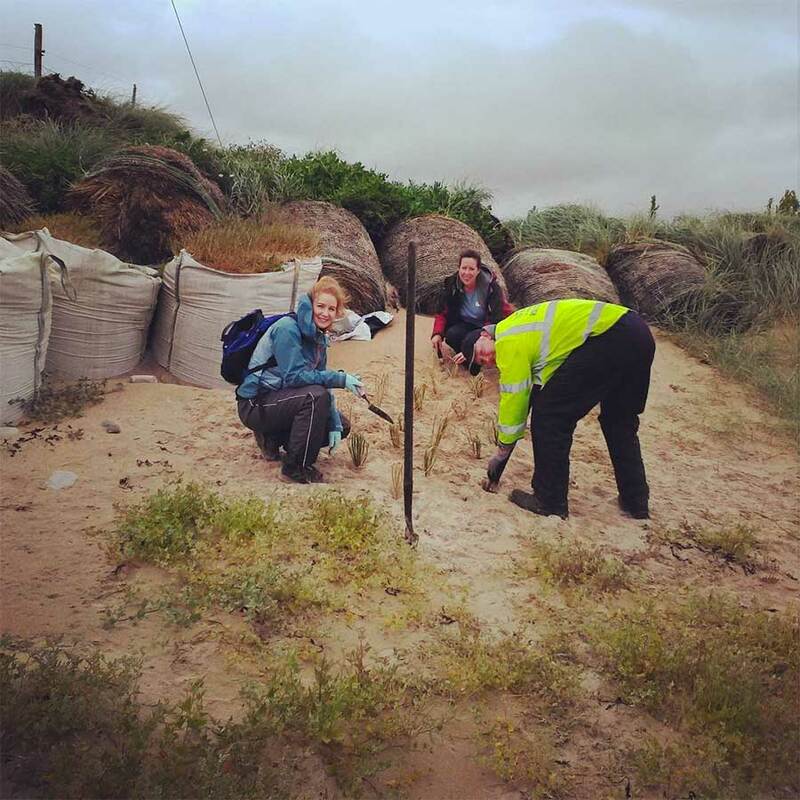 Marram grass planting is a very practical and natural way to enhance the coastal systems and protect against coastal erosion and sea-level rise, which are both increasing due to climate change. Planting this grass helps to bond sand dunes together, building resilience in them while also enhancing the local biodiversity. It is good practice to liaise with your local authority prior to the commencement of your Marram grass planting project. Reach out to other groups such as Natural Parks & Wildlife Services (NPWS), recreational users such as fishing and surfing groups and even local businesses such as local bars and hotels. Go for a nice cup of tea afterwards together to celebrate a job well done and to start hatching your next community Climate Actions. The Clean Coasts programme aims to facilitate community guardianship of adopted stretches of coastline. 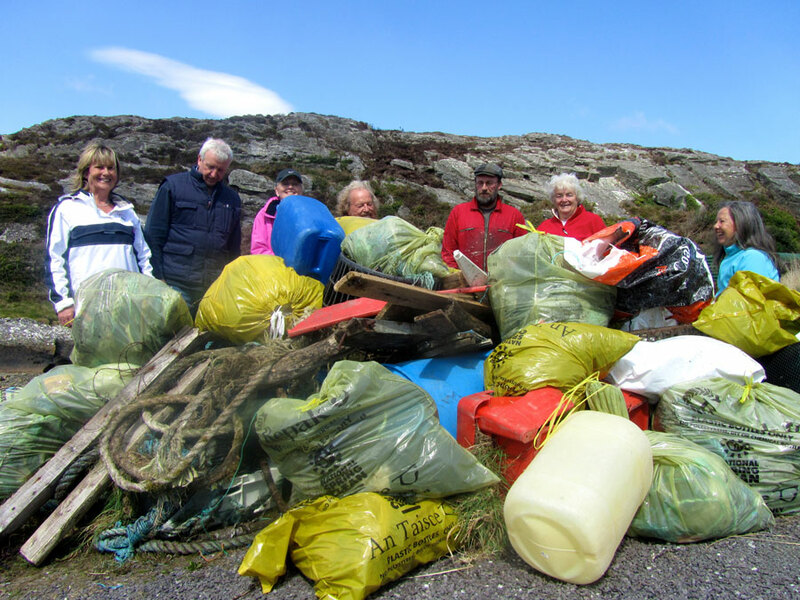 Through the Clean Coasts groups a network has been formed across Ireland’s coastline, engaging in coastal management, environmental actions and education activities. Its work enhances the value of the coastline by reducing the impact of litter and other environmental damage thus restoring the aesthetic appeal and increasing the amenity and economic value to local communities and tourists. Discuss amongst your group what Climate Actions you can take together. 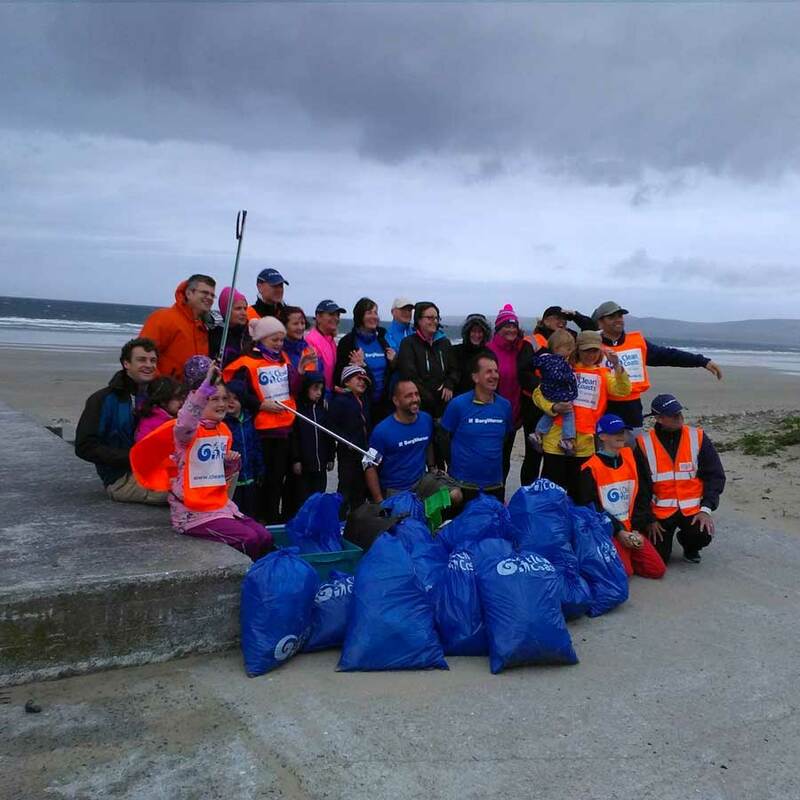 The Clean Coasts programme has a strong supports for beach cleaning groups across Ireland. With issues such as marine litter and micro-plastics adding to the other marine pressures due to climate change such as ocean acidification, sea level rise and coral bleaching, this is a practical action that the whole community can be involved in while enjoying being in the natural coastal surroundings. 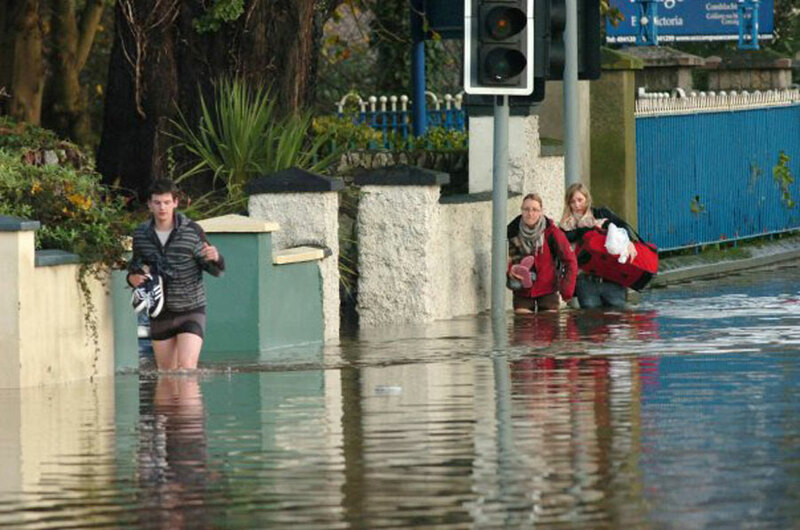 Flooding is one of the major impacts that is being experienced at an increased rate in Ireland due to climate change. By working within your community you can ensure your locality is prepared with its own flood response plan. Working with your local authority you can identify ways to minimise risk and disruption to be more prepared for the next possible flooding. Develop a local emergency flood plan. Riverbanks and other inland waterway regions are more prone to erosion due to increased flooding because of climate change. Physical bank supports such as willow branches and large trees can help. Improving and conserving local wetlands, which absorb massive volumes of water during floods, also help to reduce flood impacts. Planting trees close to the waterways can help slow down the flow of rain water, while their roots can prevent soil erosion. Engage with your local authority and local groups (such as fishing groups) who will probably be interested in helping and may already have similar plans that you can cooperate on. Carry out sea-level rise or coastal erosion physical surveys to gauge what the impacts currently are. Within your community there will most likely be some local knowledge on historical local flooding, which might be helpful in informing actions to take. Perhaps you’d like to survey the biodiversity in your local waterways. 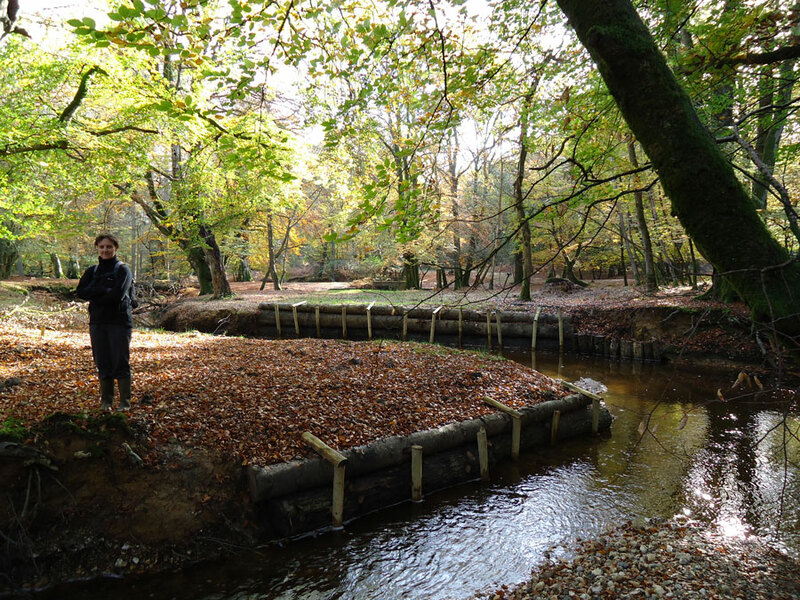 You could also carry out a questionnaire to survey the communities opinion and knowledge about climate change in relation to your local waterways. Such a questionnaire could be carried out again following an information campaign, to help gauge its effectiveness. Climate Ambassadors will receive ongoing support to help with any Climate Actions you may wish to carry out. Many fish stocks have plummeted throughout the world, mainly due to over-fishing but also due to ocean acidification and ocean warming – phenomena which are having a large-scale impact on coral reefs globally, and in turn the ecosystems which these reefs support; as well as impacting reefs ocean acidification also affects the ability of some marine molluscs to build their shells and can affect the migratory behaviours of fish as well. 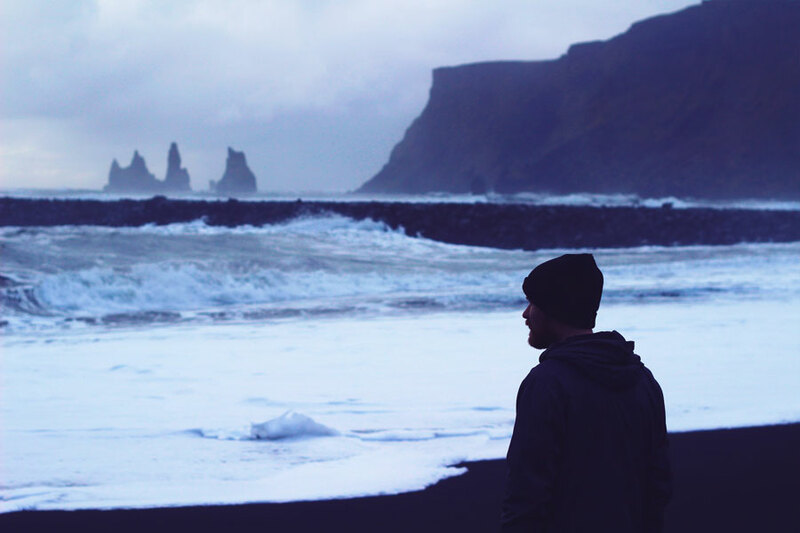 Increased storm events are damaging the fishing industry, so there is the growing realisation that there are other means of harvesting more sustainable foods from our oceans, such as seaweed. 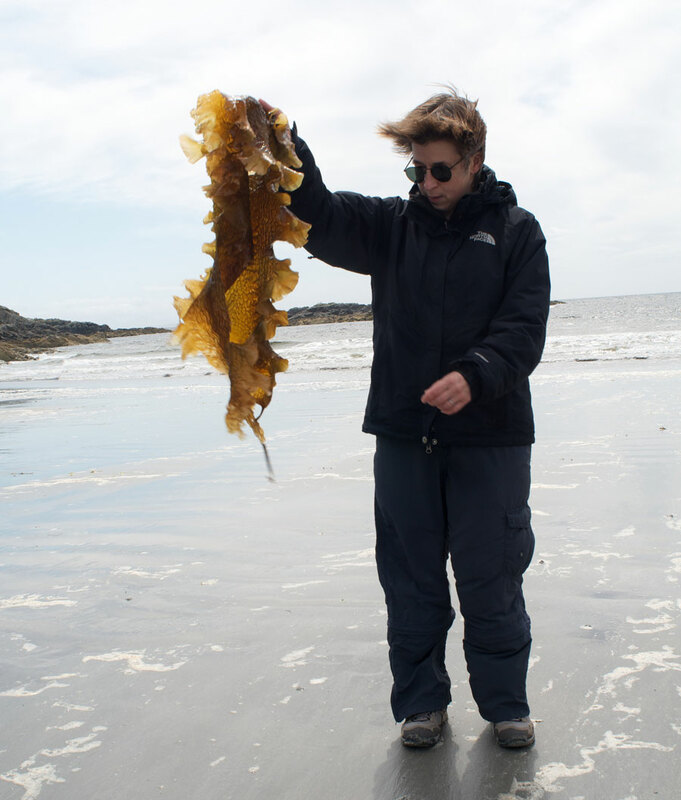 Seaweed is a recognised ‘super-food’ and also has a low impact environmentally – growing it doesn’t involve fertiliser, freshwater, land erosion or deforestation. It can remove toxins from seawater as it grows. Farming seaweed sustainably has been shown to potentially have a negative carbon footprint, absorbing 20% more carbon dioxide than it produces, according to a World Bank study. There are growing numbers of fishermen and coastal communities who are becoming sustainable seaweed harvesters, perhaps your community is next to make the move to seaweed? !